While Mexican soccer fans are celebrating Mexico’s advancement to the World Cup’s knockout stage, thousands of South Korean fans are more concerned about Son Heung-min’s now inevitable enlistment in the nation’s army. South Korea’s victory against Germany on Wednesday eliminated Son’s chance of bypassing the 2-year military duty, which is required for all abled-bodied men before they turn 28. Titled “I will serve in the military on behalf of Son Heung-min,” a petition on the Blue House website called for Son’s exemption from the military enlistment. Cheong Wa Dae has pledged to give a response to petitions that have gained more than 200,000 signatures in a month. The petition on Son was posted on Sunday and signed by 2,422 people as of 4:38 p.m. Thursday. 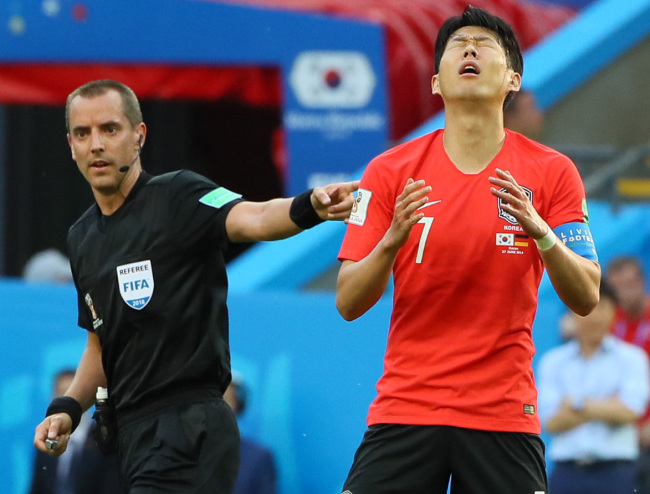 “I can serve in the military twice if it means that the 50 million citizens of South Korea will be able to enjoy soccer,” the petitioner wrote. 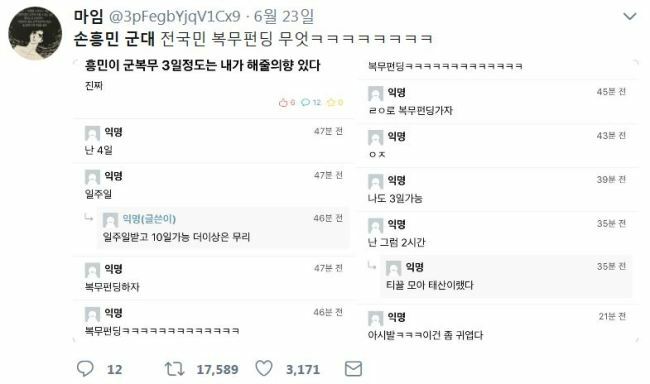 In addition to the thousands of South Korean fans, some Mexican fans offered themselves up to serve in the Korean military, perhaps half-jokingly, on behalf of the nation’s soccer star via social media. 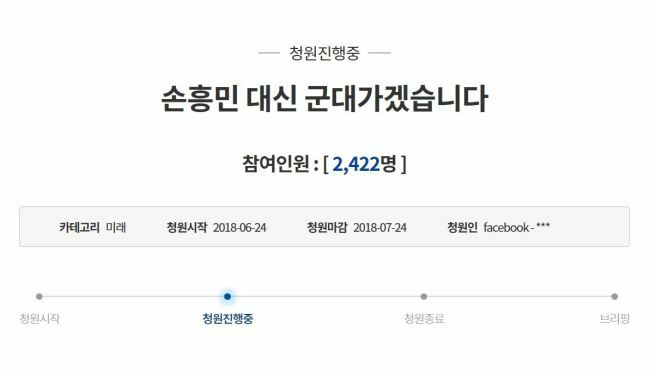 With the hashtag “FreeSonHeungMin,” the Twitter posts showed fans’ enthusiastic response to the issue, though the odds of the petition getting a result seem fairly low, at least for now.